Booths overflowing with beautiful foods, intoxicating aromas of spices and savory foods, merchants enthusiastically shouting over the crowds to sell their wares – these are just a few of the joys of visiting the food markets around the world. 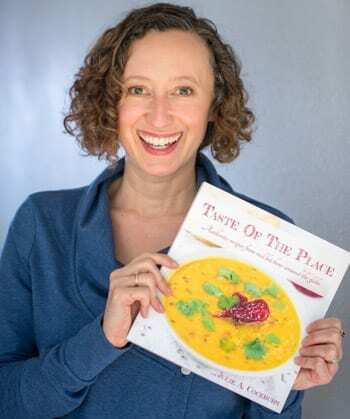 With so many markets to explore, I thought it might be a good idea to check in with YOU, food lovers from around the world, and discover your favorite food markets – both small and large. The following are just a few of your favorites! Look for more here on Taste Of The Place over the next weeks. 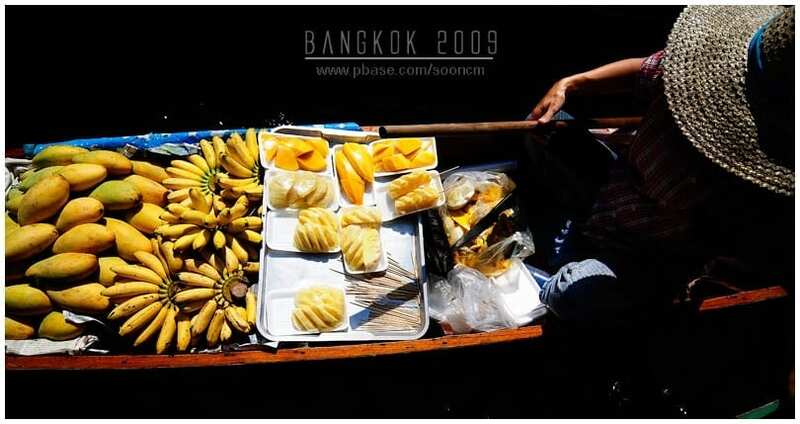 Bangkok, Thailand is known for its floating markets, some of which have become very touristy. The Khlong Lat Mayom, on the other hand, remains mostly off the tour routes. Located on the outskirts of the Thonburi district, it is serene and beautiful, and a great choice for fresh produce, or food cooked right on the boat. Located in downtown Kyoto, Japan, and sometimes called Kyoto’s pantry, the market is stocked with traditional Kyoto ingredients, tea, seafood, and to-go foods. This organic market is located in the Jordaan neighborhood of Amsterdam, and features local produce, cheeses of every kind, fresh herbs, baked goods, and seafood. But the specialty of the market is its wild mushrooms, harvested from Dutch forests and other nearby areas. If you’re in London, then this classic market is a must! Borough Market, located next to the London Bridge Tube Station, has been around in one form or another for around 1,000 years. 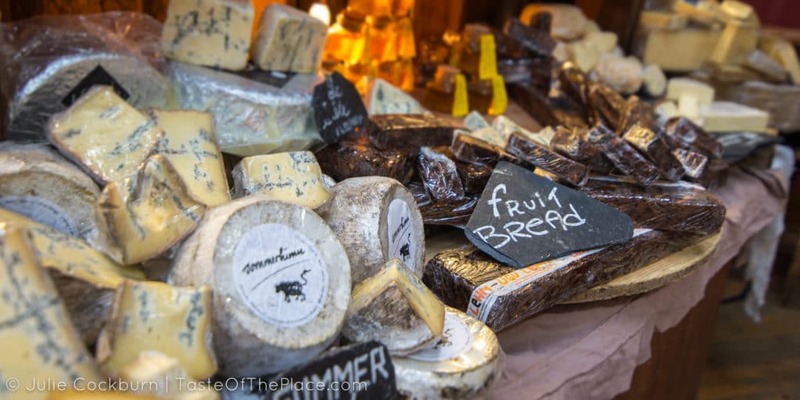 Its stalls overflow with cheeses, meats, produce, baked goods, and picnic supplies of every variety. 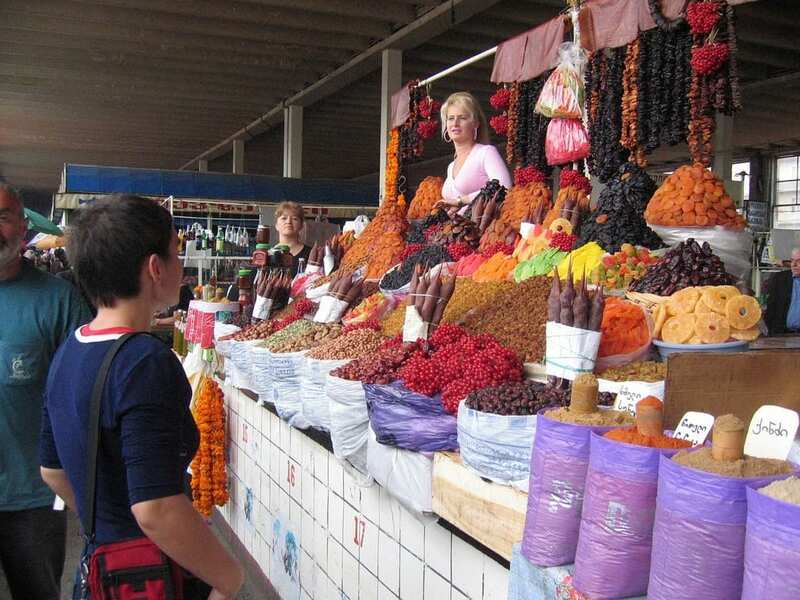 As a fan of this Georgian market says, “it pretty much sums up Georgians: hardworking, chaotic, and optimistic.” Located near the Tbilisi Central Railway Station, it is one of the city’s largest markets, and an ideal location for finding fresh and dried fruit, veggies, meat, fish, eggs, and spices. The story goes that it became known as the Dezerter Bazaar in the 1920s, because it was the place where deserting soldiers sold their weapons and equipment. The Rochester Public Market, located in the Northeast quadrant of the city of Rochester, NY, has been in operation for over 100 years. 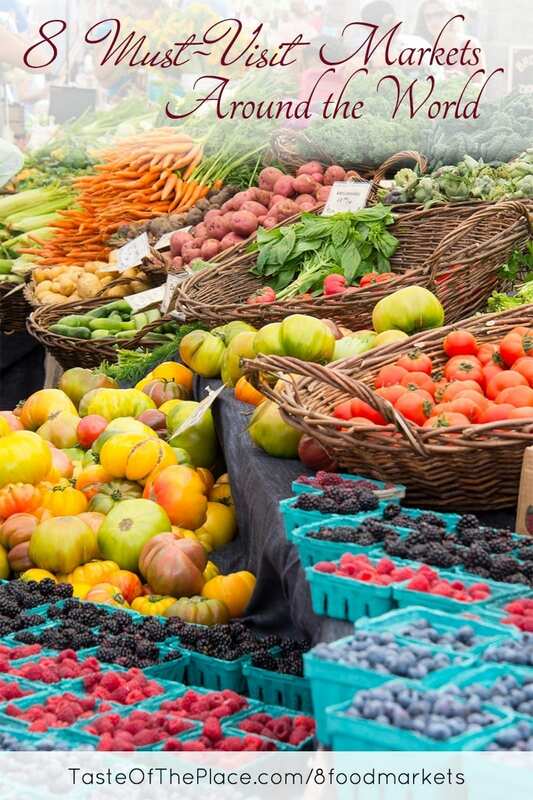 With over 300 vendors on the busiest days, you will find fresh produce, ethnic delicacies, specialty merchandise, and local goodies. 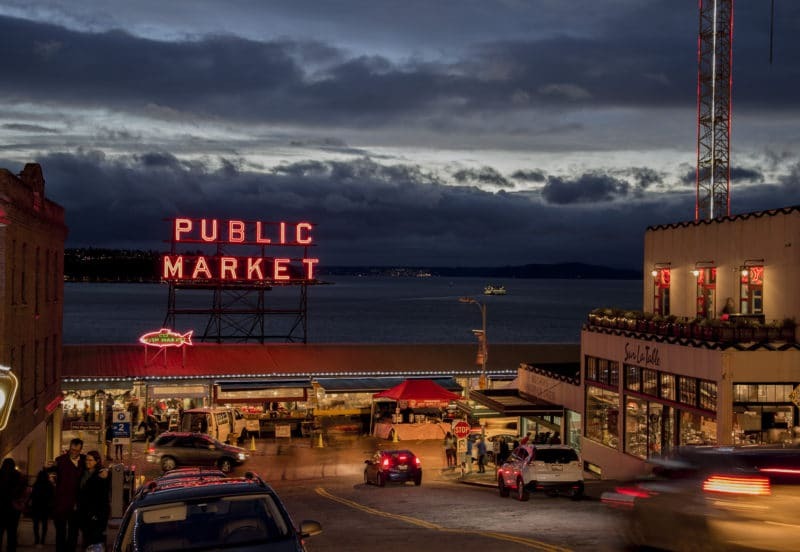 Established in 1907 just east of downtown Seattle’s waterfront, the Pike Place Market is always overflowing with fresh produce, artisan goods, meats, cheeses, baked goods, and restaurants of every type. If you visit, be sure to stop by the fish stalls to watch the famous fish mongers toss their flying fish! Located in the heart of the Capitol Hill neighborhood, this market has been a community fixture for well over 100 years. It is a fantastic location for finding fresh produce, flowers, baked goods, meats, cheeses, deli products, and even artisan arts and crafts.